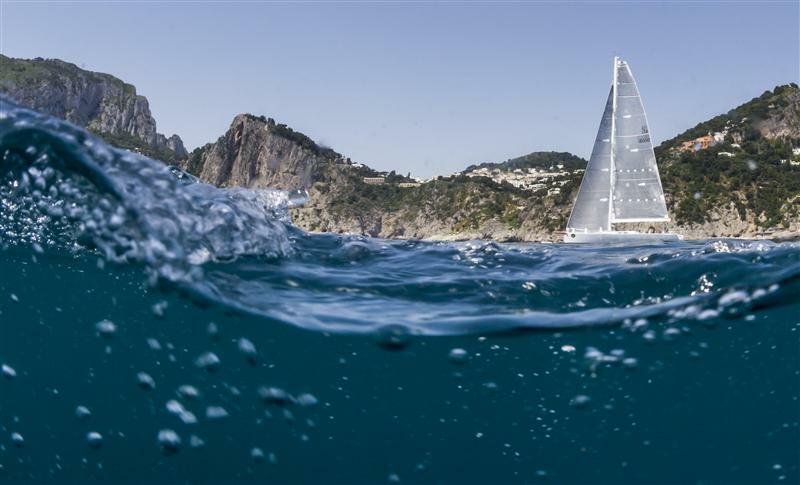 A valiant effort was made by the race committee to hold a coastal race today for both the Maxi and Barclays 52 Super Series classes at Rolex Capri Sailing Week, organised by the International Maxi Association in conjunction with Yacht Club Capri. Sadly this came to an end when the fleet ran out of breeze off Capri's dramatic coastline. Soon after midday, the Maxi fleet was first to get away on a line off the Sorrento Peninsula. 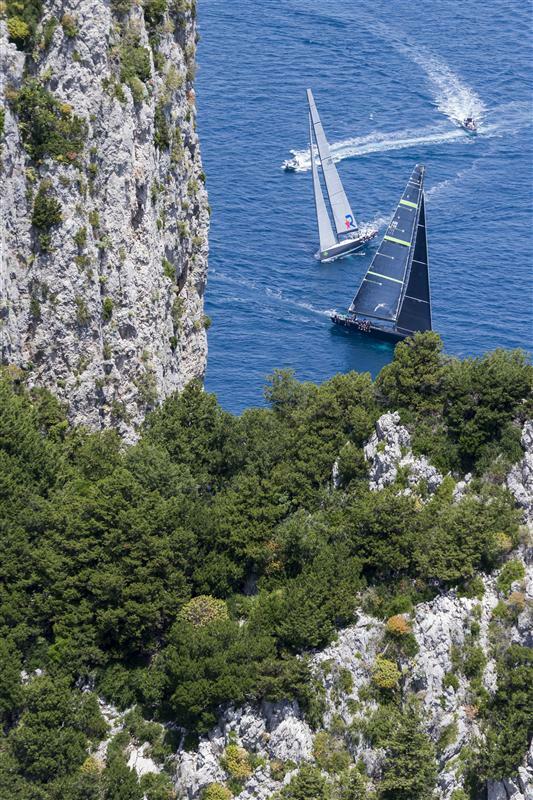 Sailing directly into the precipice on the eastern coast of Capri seemed to pay dividends for those who tried it and in particular Enrico Gorziglia's Brenta 60 Good Job Guys was punching above her weight using this tactic. 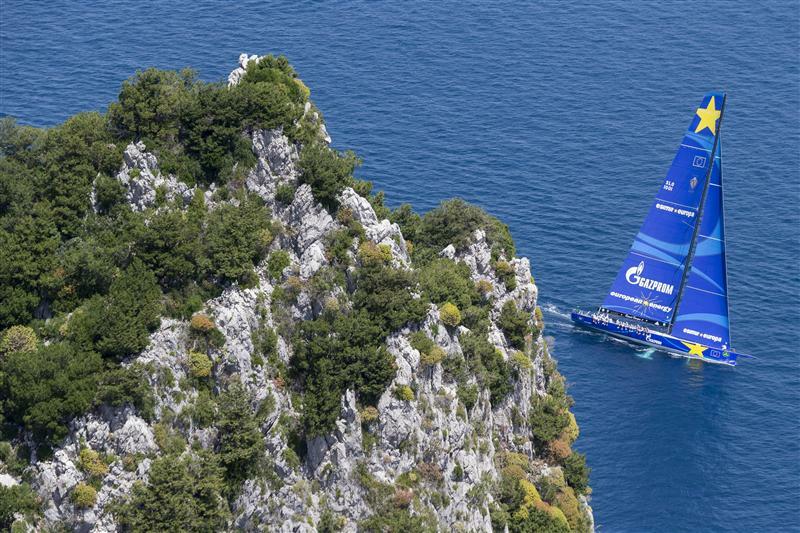 However as the Maxi frontrunners passed the Faraglioni islands, the wind shut down. Even the 100ft long maxi Esimit Europa 2 stopped in her tracks. Tactician on board, Olympic 470 gold medallist and two time America's Cup winner, Jordi Calafat explained: "We knew it was going to be very light, but then as soon as the wind hit the lee of the island...I think the race committee did the right thing to abandon the race. It would have been difficult to have a fair coastal race today." The Spanish sailor added that for Esimit Europa 2 the situation had been worse as they were first to reach the giant wind hole off the Capri coast, enabling the fleet behind to catch them up. "We were first to park and then the fleet compressed. You need to be very lucky here. 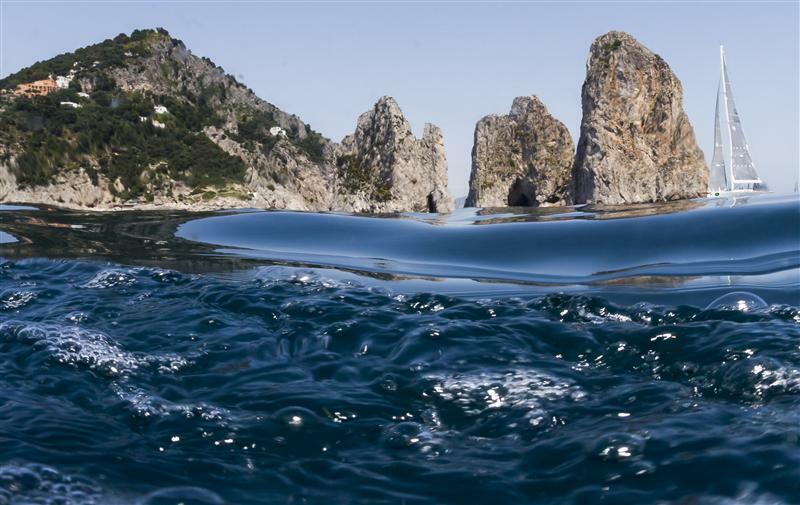 Capri is a beautful island, but it is quite high and that can make it very tricky for sailing." Joining Paul Cayard and Tommaso Chieffi in the afterguard of Roberto Tomasini Grinover's Robertissima today in the Mini Maxi Racing class, was former Team New Zealand helmsman Cameron Appleton. 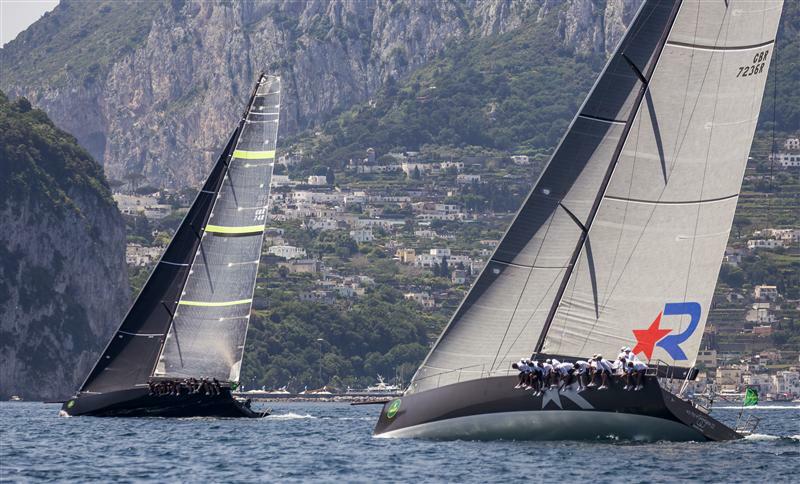 After the start, the Italian Judel Vrolijk 72 enjoyed some brief match racing with her sistership, Sir Peter Ogden's Jethou, on which legendary Team New Zealand/Alinghi tactician Brad Butterworth, OBE, is calling the shots. 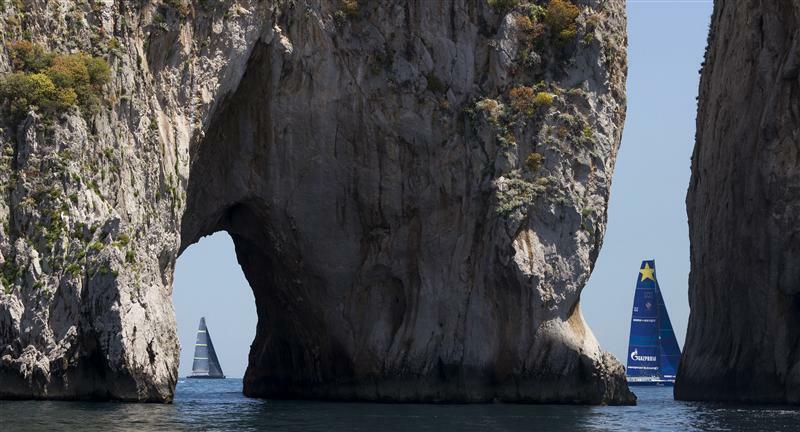 Initially Jethou looked good offshore, but then Robertissima, better stocked with local knowledge in her ranks, made gains under Capri's cliffs. "You always like to see how races play out, but today it wasn't going to happen," admitted Appleton, who is more used to racing against the Robertissima crew in the Melges 32 circuit, rather than with them. 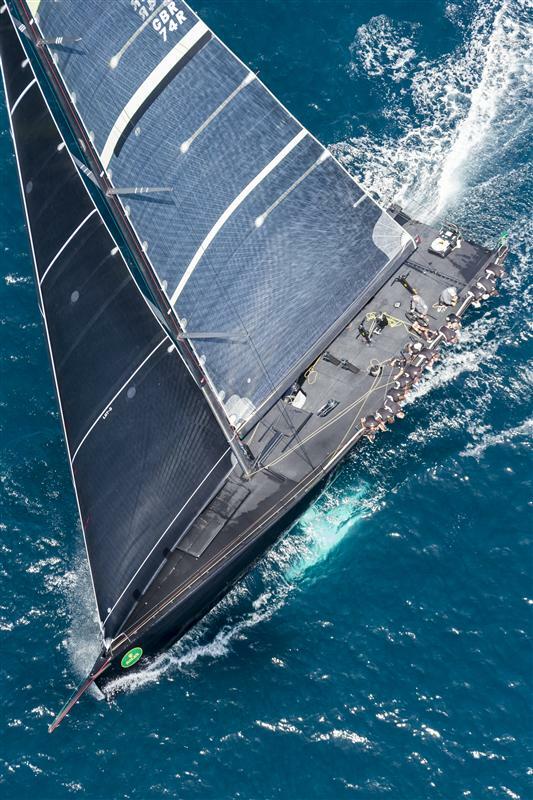 This regatta, as well as Copa del Rey this summer, sees Appleton and Cayard reunited for the first time since racing together on board Torbjörn Törnqvist's Artemis Racing TP52. Principal Race Officer Peter 'Luigi' Reggio felt he had attempted to make the best of the conditions, even though Mother Nature had ultimately conspired against him. "At the start we had a nice southerly, blowing about 9 knots from 170deg while over at Faraglioni, they were getting 4-5 knots - you can live with that. Then right after the start of the 52s we heard '2-3 knots', then '1-2', '0-1' and when we went out there and looked it was just a parking lot. The big boats might have got across, but they would never have gotten back in here." Tomorrow the Maxi class will attempt to sail another coastal race tomorrow while the 52s resume windward-leewards. Racing is due to commence at 1200.